An Illinois truck driver has filed a rare exemption request with the Federal Motor Carrier Safety Administration that he be allowed to drive a heavy truck in interstate commerce despite his medical condition that regulators say likely could cause a loss of consciousness or an inability to control a commercial vehicle. Terry Curtner, who has been diagnosed with narcolepsy and is receiving medical treatment for the condition, is only the sixth driver to request such an exemption from the agency in recent years. Five other drivers with the condition have sought an exemption since 2015, but all were denied. Curtner argues that he is different: “Mr. Curtner’s neurologist reports that at his last July 31, 2018, follow-up evaluation, he was stable on a moderate daily dose of Nuvigil, and has not had any narcoleptic attacks or cataplexy in over 20 years,” said the exemption request, published in the Nov. 27 Federal Register. 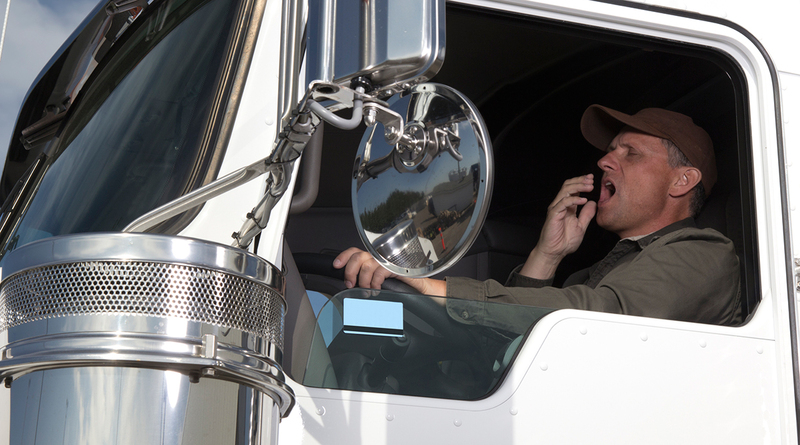 But for Curtner to receive an exemption allowing him behind the wheel would take a shift in thinking by sleep experts and the FMCSA. Although the agency has granted thousands of exemptions in recent years for medical conditions ranging from diabetes to limited vision and hearing, the treatment for narcolepsy requires drivers to take pills that are either untested for their efficacy or are amphetamines, which are on the list of banned drugs for drivers. Nuvigil, the drug Curtner said he is taking, is intended to improve wakefulness in adult patients with excessive sleepiness associated with obstructive sleep apnea, narcolepsy or shift work disorder. The drug is intended to treat excessive sleepiness but not the underlying condition. Since narcolepsy can sometimes display similar symptoms to the more common condition of sleep apnea, it can be difficult for physicians to separate the two without an overnight lab sleep test. Although it affects only one in 2,000 people, it is often misdiagnosed and can lead to reduced sleep quality and reduced quality of life, according to the sleep academy. The academy said other symptoms of narcolepsy include sudden muscle weakness when experiencing an intense emotion such as laughter (cataplexy), vivid dreamlike hallucinations while falling asleep or when waking up, and feeling completely paralyzed when waking up or falling asleep. Most patients with narcolepsy have a deficiency of the neurotransmitter orexin in the brain, according to the sleep medicine academy. “Existing pharmacotherapy does not return the vast majority of individuals with narcolepsy to normal levels of daytime sleepiness,” Lester said. That same stance was taken in 2015 when three drivers requested exemptions for the conditions, and two drivers in 2016 also requested exemptions. In the 2016 exemption requests, the agency told two drivers in denial letters that even with medication, the agency could not establish that the drivers with the condition would not still have a greater crash risk. Brian Morris, a medical doctor and member of the agency’s review board, said he would never clear a driver with narcolepsy as being qualified to drive a bus or heavy truck.